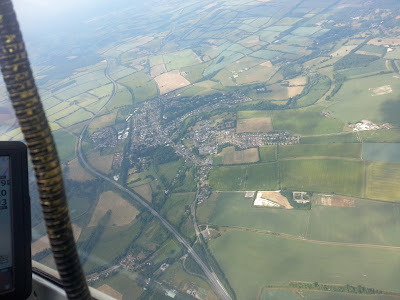 As the morning progressed the Cu started to form overhead so three of Shalbourne’s private gliders launched into a not very promising sky and tried to gain some height. Pete in the Nimbus, Chris in the LS7 and Carol and I in the Janus set a task of RIV, BRU, BUB, BUL, RIV which, if completed, would be about 180k. On the way to Bruton we passed Longleat, little were Carol and I to know that shortly we would be seeing it from a lot lower vantage point! 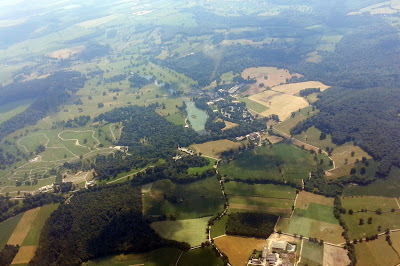 As we neared Bruton the sea air was making steady progress eastwards to meet us and was soon trying to spoil our flight. 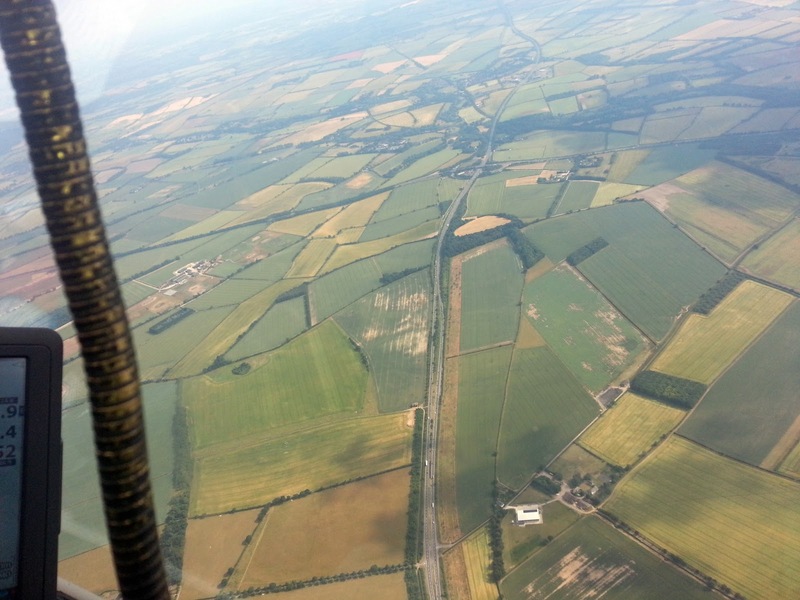 Eventually we had scraped enough height to push out round the 1st turnpoint and head back towards Burbage but not before we got VERY low over Longleat and the famous lions! Eventually we managed to contact some good lift and were soon blasting along towards Burbage and on to Bullington Cross. Unfortunately it was one of those days when you needed to get high and stay high cos if you didn’t it took an age to contact good lift again. 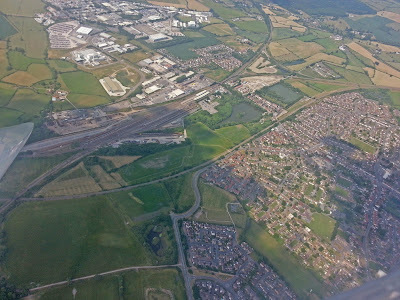 Here is Whitchurch, which those of you who know these things will happily point out Whitchurch is not really on track from Burbage to Bullington. Yes you guessed it we pushed a little too hard and had to head off track to take a climb…..again! If you squint you can make out Bullington Cross in the distance. We left a good climb to make the 5k run out to the turn point and back so we could rejoin the lift again. From here we made sure we were over final glide and then made a fast run back to Rivar. It was not a fast task by any means but a very enjoyable one none the less.